Hex Keys are a staple tool for electricians, but keeping them safe and orderly can be a task in itself. Allan Loxton, Brand Manager at Hyde, talks us through the features to look out for when looking at Hex Key sets. 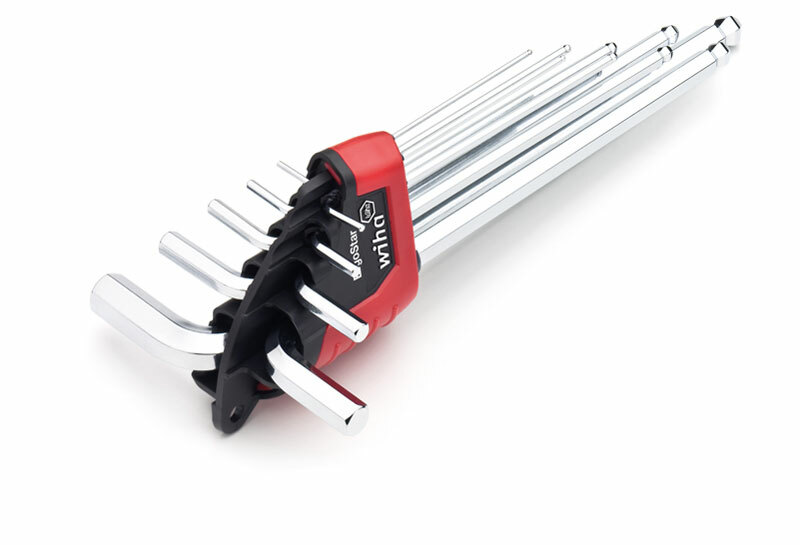 Hex Keys are a vital piece of kit for all tradespeople, called into use numerous times a day and more often than not lurking in a disorganised state at the bottom of a tool bag. With so many sizes required it can be difficult to keep them altogether, and close to hand, leaving little else for it than to go scrabbling around for the right one as and when it’s needed. This turns into even more of a nightmare when you’ve just climbed up a ladder, only to find you’ve not got the right sized tool with you, forcing you to climb back down to where you started. All of these issues cost time, reduce your efficiency and can leave even the most patient of electricians feeling a little vexed. Not to mention that it doesn’t give a very professional impression to your clients who may be looking on. Leaving Hex Keys loose in your tool bag doesn’t just make them hard to find either, it also makes them easy to lose, which can leave you out of pocket when having to invest in replacing lost screws more often than you’d like. Single screws are also more likely to end up being accidentally dropped inside machinery during installation or servicing, which can be an expensive mistake to make. For such a relatively inexpensive piece of kit, a Hex Key set will do an enormous amount to help you work more efficiently and professionally, without getting vexed. One solution is to invest in a Hex Key set, which at least helps keep them all in the same place. However, it pays to take a little time to look at all the options before purchasing one, as some sets may turn out to be more of a hindrance than a help. To really get your money’s worth look for a set with clever features that enable the keys to stay together in an organised way while ensuring they can be removed for use quickly and easily. 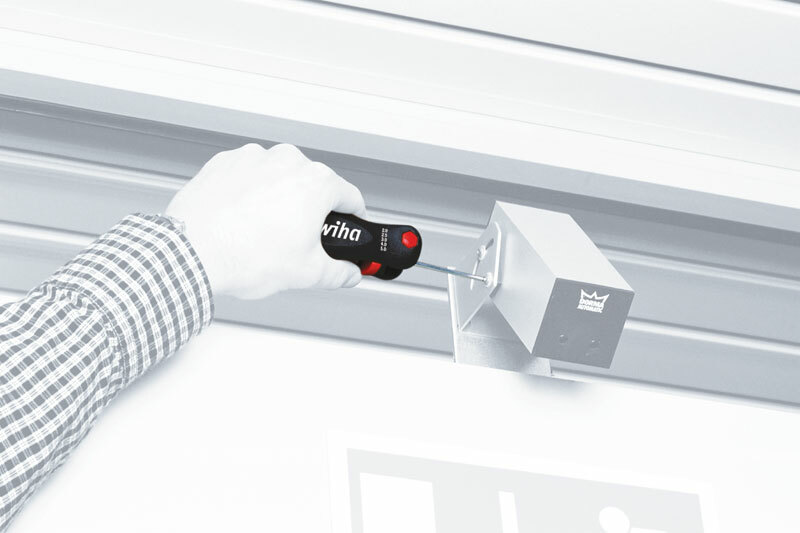 The Ergo-Star from WIHA, for example, has a clever mechanism so that when a single Hex Key is rotated in the holder all the other keys rotate at the same angle. It is a simple yet effective idea, as it means that keys sitting next to each other don’t get entangled, previously a problem that was almost as aggravating as not being able to find the single key you need at the bottom of your tool box. Instead, all the keys are ready for removal with one turn, while the innovative WIHA MagicRing spring steel ring holds all the screws firmly in place, without the use of magnets. The ball end makes it easy to access the Hex Keys and makes it simple to use them at angles of up to 25°, maximising efficiency at all stages of the job. The holder includes nine Hex Keys in total, each made from fully hardened chrome-plated steel, making them tough enough to go the distance on all types of electrical work.